This June, we’re in the mood for bright and bold colors! Just like these fancy chiffon fabric from Fancy textile store that we saw a couple of days ago. So bright, playful, and lively. 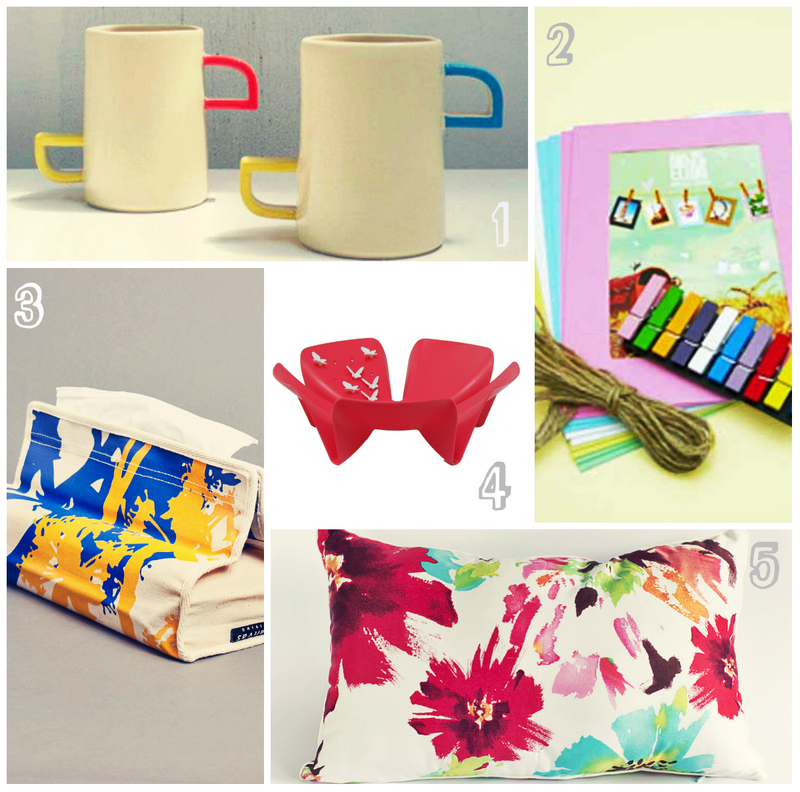 Just like these wonderful home accessories in our wishlist this month. Their summery-cheerie color can brighten up our living room! Simple designs and pretty palettes. What’s not to love about Kandura Keramik? Pretty way to display your pictures! Just insert the photos into the frames, then clip it to the rope using those colorful wooden pins. Then tie both ends of the rope to nails. This is one of our favorite local brands. Bored with neutral colors of your living room? We think this one can add fresh colors. We love those little butterfly toothpick in this fruit bowl set. Cute! Flower power in a modern look and bright colors can surely made your sofa looks prettier than usual. Chic And Darling uses 100% cotton fabric for their cushion covers, and silicon cotton hypoallergenic for the pillow inserts.